« Laissez Les Bon Temps Rouler! It’s Eureka Gras 2017! 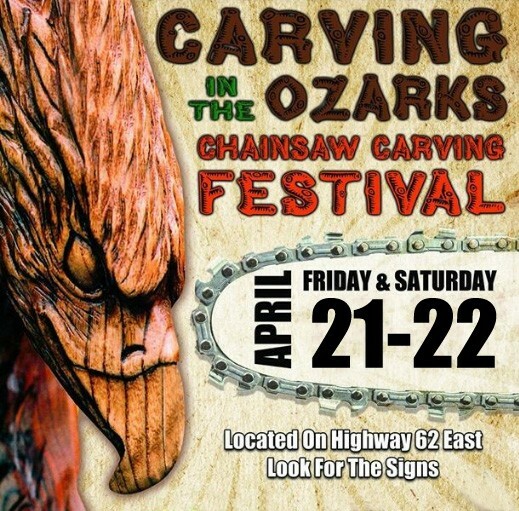 The 13th annual Eureka Springs chainsaw carving festival, Carving In The Ozarks, is coming up! April 21st and 22nd, 2017 will once again see the creation of wonderful chainsaw art in Eureka Springs! The Eureka Springs chainsaw carving festival, Carving In The Ozarks, has become a local tradition. With each year, the festival just gets larger and more exciting, with lots of great music, food, and people. Plus you’ll have the opportunity to bid on a piece to take home! Carving In The Ozarks is both a wood carving competition and auction. The event sees professional wood carvers from several states competing to create sculptures of their own design with chainsaws. The pieces are judged at the end of the second day, then auctioned off. Proceeds from the auction go towards the Eureka Springs Fire Department. Anyone who has ever been to a chainsaw carving event knows how fun they can be. Watching often sublime works of art emerge from raw logs with the pass of a roaring chainsaw is fascinating. The contrast between the tools, medium, and end results can be very striking. The artworks produced at the Eureka Springs chainsaw carving festival come directly from the minds of the artists. While they do tend towards a wildlife theme, such as eagles, fish, and bears, you never know what you’ll see. Stunning abstract forms have sometimes appeared. Other items created, while artistic, may serve a utility, such as a beautifully carved chair or bench. You just never know what these talented men and women will pull from the wood with their howling chainsaws! Perhaps best of all is the opportunity to bid on the end results of all this work. Having the opportunity to watch a beautiful piece created, meet the artist, then take the piece home is a rare and wonderful experience. 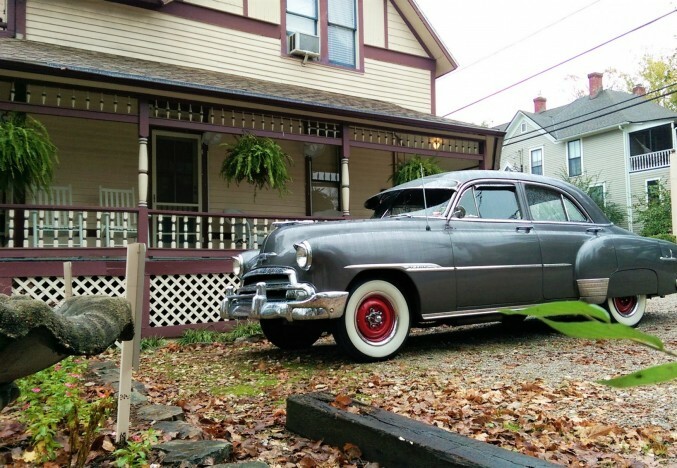 Plus, you get to do it in fun and friendly Eureka Springs, AR! So go ahead: come witness the roar of chainsaws, the spray of wood chips, and the emergence of art from rough logs at Carving In The Ozarks – The Eureka Springs Chainsaw Carving Festival! Be sure to visit the Carving in the Ozarks Facebook page for updates and photos from previous years’ festivals. 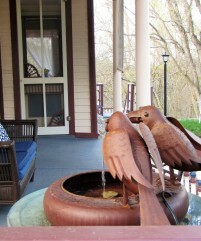 5 Ojo Inn Bed & Breakfast offers 9 comfortable rooms in two homes and two cottages in Eureka Springs’ historic district. 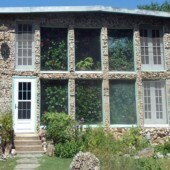 Every guest of 5 Ojo Inn Bed & Breakfast enjoys an elegant, three-course breakfast each morning. 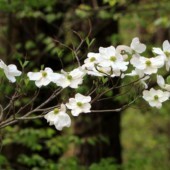 Book your Eureka Springs getaway, today.